The Thirsties Wet Bag offers dirty diaper storage while on the go! 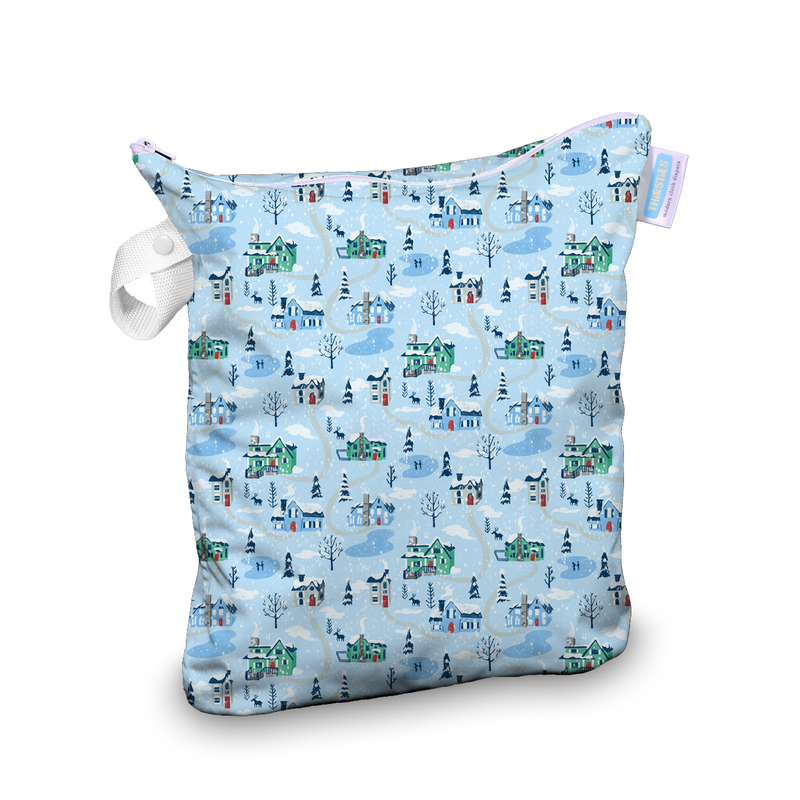 Thirsties Wet Bag - Store Dirty Diapers on the Go! Storing your dirty diapers has never been so easy--or adorable! The Thirsties Wet Bag is practical and fashionable. 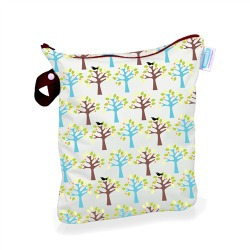 This wet bag fits easily into your purse or diaper bag, and it can easily hang from a stroller. It's designed for diapers, but is also practical for trips to the beach or pool, or anything that gets wet when you're out and about! Features waterproof PUL with seam tape to keep messes and moisture sealed away. Designed to hold up to 8 diapers--perfect for a day out! Zipper closure is easy to use and keeps everything tucked inside, including odor. The snap strap allows you to hang your bag or wrap it up for compact storage. Available in 4 popular Thirsties prints and 2 solid colors. Care Instructions: Wash with your diaper laundry using additive free detergent. Hang dry or tumble dry on low. 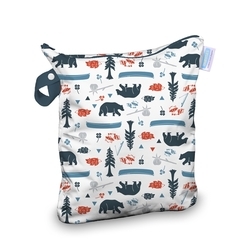 Medium Planet Wise Wet Bag is perfect for the diaper bag! Diaper Rite Wet Bag is the perfect storage solution while you are out and about. This is the 3rd brand of wetbag I have owned. Fits about 8 cloth diapers. Does not leak out smells. But after a day, the outside of the bag is damp. Fallen leaves is sooo pretty and it rolls so you can carry in your diaper bag easily. This bag lives permanently in my diaper bag. I have two of these bags and I love them. They are the perfect size for my on the go wet diapers and wipes and fits great in my diaper bag. I love the prints. I have the aspen creek and the cow over the moon prints and will probably purchase more in my future. The only complaint I have is that my button that closes my handle broke on one of my bags so it doesn’t hang anymore, but that could’ve definitely been an operator error. Ordered this wet bag in limited edition O2 revival and love the print! I also love the wet bag- it fits a lot (about 6-8 diapers) but still folds up small to fit in a diaper bag etc. I haven't had any issues with this bag and look forward to collecting more prints.